The horrifying secrets held by thousands of elderly Ukrainians had been kept hidden from the world for 60 years. Soviet secrecy and anti-Semitic apathy buried the other side of the Holocaust in the same deep, dark holes in which over one and one half million Jews were killed and shoved into the earth. The killing fields have been slowly and meticulously uncovered since 2002, thanks to a French Roman Catholic priest who simply wanted to understand what his grandfather meant when he said that, “for others (in Rava-Ruska, just outside of Poland) it was worse.” When Father Patrick Desbois visited the town in 2002, he asked the mayor where the 18,000 Jews who had been killed in Rava-Ruska had been buried. The mayor said he did not know. A year later, the new mayor of Rava-Ruska took the priest to a forest where over 100 villagers had gathered, waiting to tell their secret stories and help uncover the graves buried beneath their feet. Thus began the priest’s travels into the heart of the killing fields and his journey to find every mass grave hidden beneath the Ukrainian earth. Father Desbois, author of Holocaust by Bullets: A Priest’s Journey to Uncover the Truth behind the Murder of 1.5 Million Jews, visited the Jewish Center of West Bloomfield on February 24, 2009 to present his findings in front of hundreds of Detroit area Jews. The video and photos and stories that Desbois shared brought gasps from the crowd of hundreds. Many Jews have for years wondered about their Ukrainian Jewish ancestors, trying to imagine how they had lived and died. The answers are devastating. 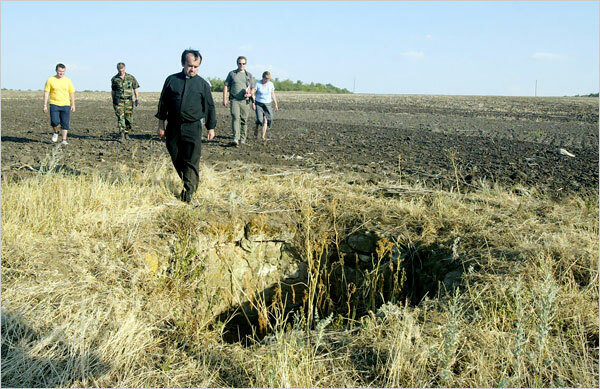 In the six years that the priest crisscrossed the Ukraine countryside to locate every possible grave (he has uncovered over 800 mass graves so far,) collect artifacts of rusty bullets and shell casings, skulls and bones, and record video testimonies from eyewitnesses, what he discovered was unimaginable. The elderly men and women who were children during the Holocaust pored out their stories to him, almost all of them wondering why they weren’t asked about their experiences before. They admitted that they were silent for six decades because simply no one had ever asked them what they had witnessed. The priest and his team listened without judgment as hundreds of eyewitnesses told them what they remembered. After reading Soviet and German documents and asking questions to try to understand the details of the mass killings, he listened to stories about Jewish neighbors, acquaintances, friends, and even schoolmates who were killed publicly in front of swarms of onlookers. They were murdered brutally, individually, and often publicly, near their homes, shot into pits or in open fields, sometimes buried alive, and often within sight of the children who were condemned to remember such atrocities. 887 Ukrainian witnesses, who had been forced as children to dig graves, carry Jews, step on Jews, and sell their clothes had been traumatized as children and when asked, wanted to reveal everything before they died. He toils to help us bury our dead, symbolically. On the last day in December 2007 he led a group of Ukrainian Jews who drove to Rava-Ruska from Lviv, an hour away, and gathered in the snow around the grave to recite Kaddish. For Desbois, the ceremony in the woods was a high mark after his years of unbearable work and part of the reason for his efforts. The Jews from Ukraine did not just disappear as the Germans wanted. They were murdered one by one and dumped into the earth. Father Patrick said, “I want to see these people properly buried.” The Nazis had acted quickly with savage violence, hoping to exterminate every Jew, wanting the world to know nothing. Now, because of the incredible dedication of one man, we know. We know. 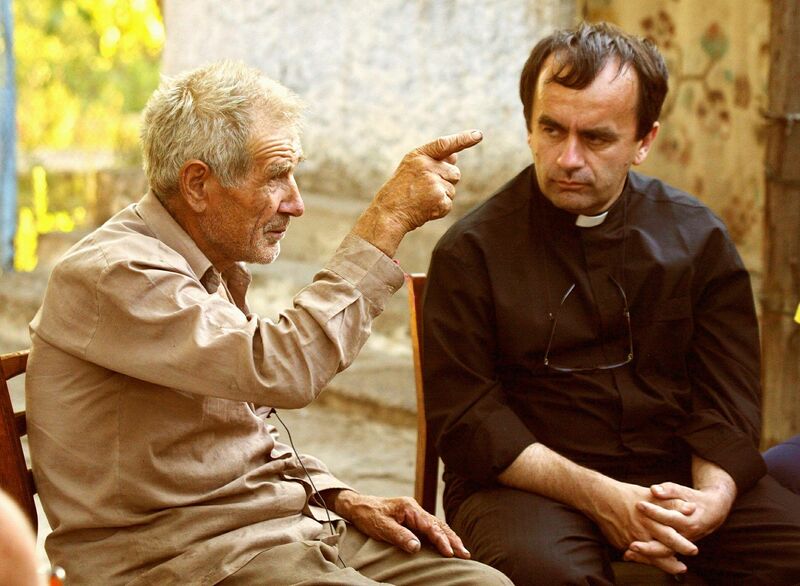 In a world filled with terror and inhumanity, it is comforting that there are righteous people like Father Patrick Desbois. He has devoted his life to confronting anti-Semitism and furthering Catholic-Jewish understanding, which are “acts of loving kindness.” Father Desbois said he hears these Jewish souls “crying from earth unto heaven.” Because of the efforts of one righteous man, we can now hear again the muffled cries of our brothers and sisters. We hear them weeping loudly and clearly now. And we will never forget them. Very well written and emotionally stirring.